One of Mexico’s top businessmen. 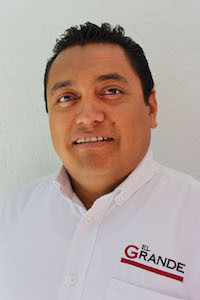 Promoting international businesses in different industries has been a characteristic of Mr. Covarrubias, he has owned companies in construction, food & beverages, automotive and general manufacturing, Financial services, maquiladora packaging and logistics. With more than 50 years of experience as an investor in the US, Mexico & Europe, Mr. Covarrubias guides our group of companies with a very solid entrepreneurial vision and unique business experience. Mr. Covarrubias is a Chemical Engineer graduated from the National University of Mexico (UNAM), holds an MBA from La Salle University in Mexico City, and an Executive Business Certificate from Stanford University. He has been a member, Vice-President, and President of multiple entrepreneurial and industrial chambers in Mexico such as Coparmex, Canacintra, and CIC among others and is an active member of several public companies’ boards. Mr. Covarrubias also heads the Board of a non-profit organization that promotes self-employment in Mexico, Fundacion Pro-Empleo Coahuila. built it in to one of the top paint manufacturing groups in the Americas (COMEX) . Leadership, vision and honest hard work are just some characteristics that distinguish Mr. Achar in the international business environment. 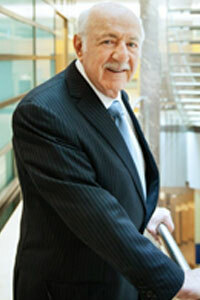 He is an active Member of several public companies’ boards and heads three Foundations, e.g. Pro-Empleo Productivo fundation. Mr. Achar is a top entrepreneur known for his marketing and commercial activities. He worked hand in hand with his brother Alfredo in building one of the top paint manufacturing groups in the Americas (COMEX). He owns a sizeable important chain of paint stores and holds extensive investments in Real Estate and industrial companies. Mr. Covarrubias represents more than 15 years of international business experience based on a solid investment banking, international business, legal and finance background; he leads El Grande’s team of experts assuring they provide the most competitive intelligent support service platform in the industry guiding the client’s growth milestones. He started his professional career in 1996 as a paralegal at De La Fuente, Cano & Brizio, a corporate and labor law firm based in Mexico City and in 2000 he became the firm’s youngest partner, during his tenure he lead several restructures and union conflict resolutions as a consequence of the Tequila Effect (Mexico’s 1995 financial crisis); from 2001 to 2003 he joined Gozain, Frangie & Forcada Wright as part of the corporate department in charge of restructures, leading more than 20 transactions for domestic and international companies and financial institutions. As a result of the experience of being a legal advisor of international investment banks, funds, and financial institutions and with a solid education, in 2003 Eduardo started one of Mexico’s first investment banks with US and MX partners called the Probitas group. Eduardo is recognized as a pioneer in the Mexican investment banking industry by founding and driving the group’s growth. The group has represented more than 3 BN USD in closed transactions from International Investors in Mexico. Probitas recently merged with 2 investments banks to form the Pharos Organization. Following a long family tradition as a promoter of foreign investment in Mexico, Eduardo is an expert in the maquiladora industry and NAFTA (now USMCA), an environment that he has worked in since 1986 under Covman, a family office. Covman invested in the largest Mexican shelter group and during that time he implemented several growth structures for international companies operating in Mexico, creating a strategy using NAFTA and international financing programs. Eduardo received his Law Degree from Universidad Emmanuel Kant in Mexico City. As part of his international education, Eduardo holds a Certificate in International Business and Finance, a Certificate in US Law and Methodologies and completed the Series 7 special certification; all at New York University (NYU). Be a local with Esteban’s constant help. Esteban has vast experience in International Trade and Logistics in the USMCA región. Prior to El Grande, he was part of logistics teams at Express Milac, AutoExpress La Silla and Honda where he initiated and set up operations of the intermodal program for Masive Car Production. 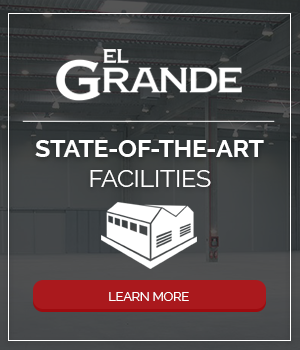 Esteban’s experience is supported by more than 8 years in the intermodal service and logistics coordination in the OEM and Tier 1 supply chain all the way from programing to delivery, import process for massive production, pick up times and CrossDock coordination at the US-MX border. 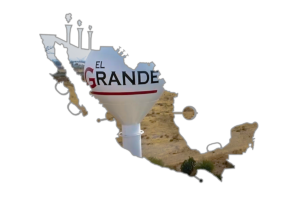 Esteban grew in the Bajio region so his professional relationships and local knowledge are an important asset for our client’s growth. 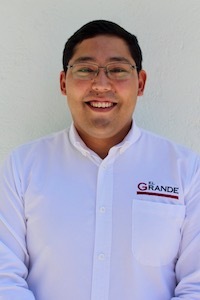 Esteban holds a BS in Business Administration from Valle de Mexico University Campus Queretaro. 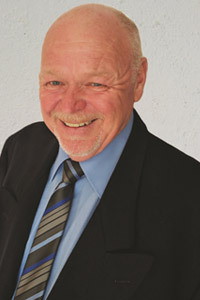 His international vision is represented by finance and language studies in Ireland and Canada. Esteban is fluent in Spanish and English. 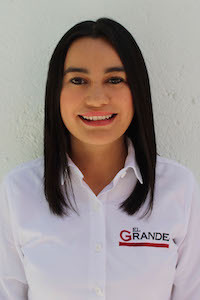 With a strong international background, Tsuneki brings more than 5 years of sales and business development experience to El Grande Group . Prior to El Grande he developed several departments at one of Mexico’s largest hotel chains, Grupo Posadas, and then at Casa Inn Group where he started, developed and managed the Celaya Hotel. A strong service culture define Tsuneki’s work (backed by certifications such as GM Hotel Leadership & Strategy and HR Administration, Sales Courses as People First, Proactive Service, Effective Communication, AMA Art, Magic and Action) and at El Grande he is currently developing El Grande’s MX opportunity and client-sales platform as part of the Project Development Department. 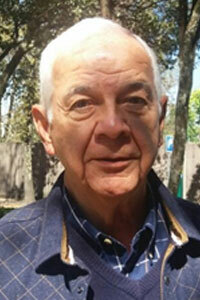 Tsuneki holds a degree in Modern Language, Interpretation and Translation from the University of Queretaro. Tsuneki is fluent in Spanish, English and Japanese. Manufacturing experience and project management at the highest level. Mike represents more than 30 years of manufacturing experience in North America (Canada, US and Mexico), responsibilities and solutions include Project Management, Purchasing and Procurement, Inventory Control and Role Management. For the last decade Mike represented several top tooling companies’ sales and site solutions as Account Manager in Canada and the United States, such understanding and knowledge translate in great benefits to our client’s manufacturing processes and installation of production lines. 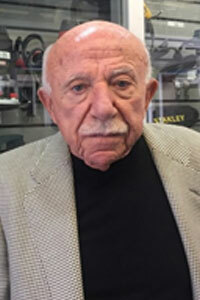 His work and accomplishments have registered deep records at automotive OEMs, Tier 1, 2 and 3 companies in the North American region. Mike is a Licensed Automotive Technician from Franshaw College at London, Ontario, Canada and has a great amount of formal training during his career. Community and volunteer work is a must for Mike, his humane respect for the local community is represented unique activities. construction and engineering demands. Also Francisco is an expert in 3D dimensioning and design, human resources and budget management. 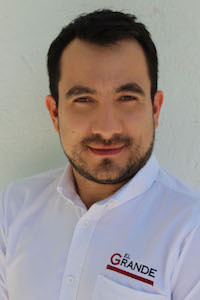 Francisco holds a BS in Architecture from the Autonomous University of Tamaulipas and holds a Master Degree in Architectural Design and Costs Management from the same Institution. private companies like Grupo Casa Inn. Syria has been involved in managing, training and operating groups of unionized and not unionized personnel and also managing, supervising, auditing, invoicing and doing general administration duties in the mentioned companies with a strong customer service view. As a local from the Apaseo El Grande- Celaya area, Syria has a strong foot print in the communities surrounding our industrial park, she brings lots of experience from her previous jobs and also has developed excellent relationships and systems to recruit and select personnel for our construction and industrial jobs at El Grande. Syria has also been very active hand on hand with our sister companies (Walmi and Comex) developing different tools to prevent human resource turnover and labor conflicts by promoting labor stability and career growth through the implementation of special programs like Anspac, Special Sports, Work Vicinity, Community Programs Development and also by working very closely with the local Labor Union. Syria holds a BS in Business Administration and Hospitality from Bajio Superior University. And a certification in Human Talent Recruitment and Retention at the Mexico Latina University. Syria is fluent in English, speaks basic Japanese and her native language is Spanish. Feel supported by our marketing and PR basis, Danny’s experience will help you grow. Born and raised in Bogotá Colombia, Dannyela brings lots of experience in marketing and communications to El Grande Group, helping our brand and client’s expansion in Mexico and abroad. Her values and know-how are based on more than 8 years of marketing and public relations work at top Marketing Agencies like TXT Transmedia Agency where she directed campaigns and media strategies for clients like Total Oil Group, The French Film Festival, and the Bolivar Davidenda Foundation. Skills also include design and implementation of communication strategies, publicity campaigns, and PP.RR., BTL promotion, corporative events, digital projects, and social networks. 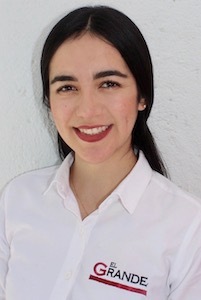 Her experience in the public sector is backed by 2 years of work at the Family Development Institute at the Municipality of Celaya city where she developed the strategies and content for all the printed and digital communication. Danny’s professional beginning is interesting as she worked at the Antinarcotics Directorate of the Colombian National Police as a content consultant at the International Center of Strategies Against Drug Trafficking gaining lots of experience in hard and special situation communication. 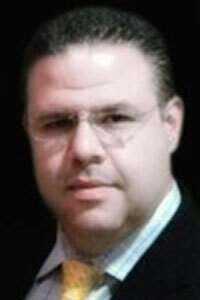 Dannyela holds a Degree in Social Communication and Journalism from Sergio Arboleda University in Colombia. Dannyela is fluent in Spanish and English.